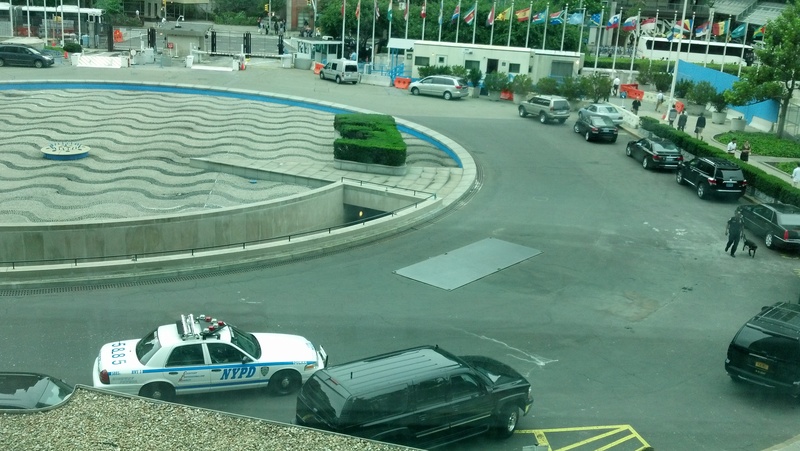 UNITED NATIONS, July 27 -- The lack of accountability in this UN is pervasive and requires intervention from outside -- sometimes, as this week, in the form of a NYPD patrol car. In the big picture, on Haiti, with the UN again telling Inner City Press on July 26 that the claims of those killed by the cholera the UN brought are "still not receivable," even after its initial panel of scientists turned on them, the time for outside litigation has arrived. Inner City Press: I wanted to ask you what the Secretary-General’s role is in approving recommendations of the top or the number two position in the Pension Fund, and whether it is the case that the candidate of the deputy position for the Pension Fund is somebody that was named in an OIOS [Office of Internal Oversight Services] report as someone being engaged in financial impropriety and discipline was recommended at the time, and whether this would be any factor in the Secretary-General’s review of giving out this financial position. Spokesperson Martin Nesirky: I’d have to check on that, Matthew. Having no answer three days later, Inner City Press ran at 12:03 to the noon briefing -- only to be told it was over, and would not be re-opened. After the Free UN Coalition for Access pressed, two spokespeople could questions off-camera in their office. On Dooley and the Pension Fund, Inner City Press was told that some "language" was being come up with. Two days later, nothing. "in Investigative Report 0543/05, OIOS found that the Pension Fund's Paul Dooley, with the assistance of the Fund's Dulcie Bull and UN Procurements Sanjaya Bahel, had improperly awarded the Pension Fund's information technology contracts to Mr. Dooley's ex-boss. OIOS specifically recommended that 'action be taken against' Mr. Dooley, Ms. Bull and Mr. Bahel." Bahel went to jail. 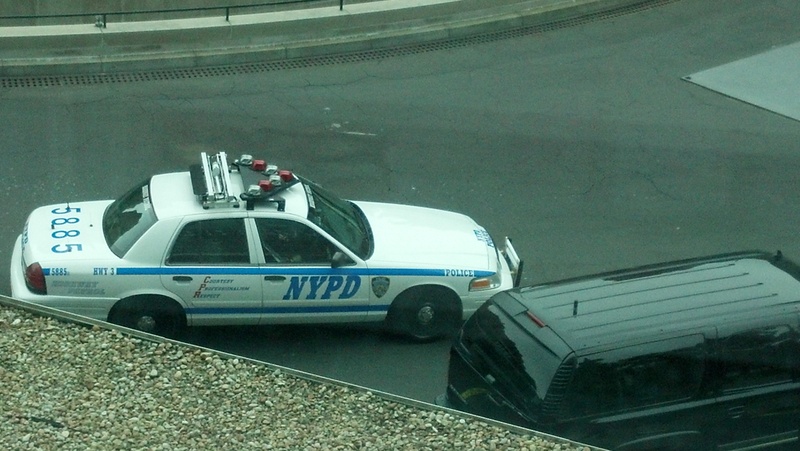 This week, in part to elicit more information, Inner City Press took and tweeted of photograph of a rare occurrence: a New York Police Department patrol car inside the UN, parked in front of the Secretariat Building next to the (empty) fountain, click here for the Tweeted photograph, and here for another. There are more; there were other NYPD (and even Federal) entries. Now an interim update -- a range of UN staff tell Inner City Press of arresting officers and handcuffs inside the UN, and injunctions to be more careful about procurement. We'll have more on this -- for now we note, a non-consensual raid on an office, the riffling through of a journalist's files, both the taking and the leaking of photographs thereof, even or especially when later sought to silence and then falsely denied, including through falsification of official documents -- these all too can be crimes. Watch this site.